Toronto, July 2, 2010: The Scarborough Swim Club is proud to introduce our new Head Coach, Mr. Darren Ward. As ten times National Champion, Mr. Ward represented Canada at the 1988 Olympics in Seoul, and 1992 Olympics in Barcelona and in 1992 swam to World Cup Champion in the 200 I.M. Mr. Ward joins the club after spending six years as Assistant Head Coach at Mississauga Aquatic Club where he was named Swim Ontario Age Group Coach of the Year in 2005 and awarded back-to-back CSCA Coaching Awards of Excellence in 2007 and 2008. Coach Ward has and deep understanding of swimming in Canada and many years of successful coaching experience around the country, including time in South Western Ontario, Saskatchewan and Alberta. In his role as Head Coach at SCAR, he will help the club to grow and excel to position them to occupy the new, world-class aquatic facility that is scheduled to be built at the University of Toronto (Scarborough) campus as a primary aquatics venue for the 2015 Pan/ParaPan Am Games. During his remarkable swimming career Mr. Ward was coached by some of the most knowledgeable and respected swim coaches in the world, including; Derek Snelling, Bud McAllister and UCLA coach Ron "Stix" Ballatore. He hopes to bring his many years of experience as an elite swimmer and an award winning coach to SCAR to help the club achieve their goals. "This is the challenge I have been waiting for," says Coach Ward, "An outstanding swim club with a rich history in the sport, striving to become the biggest and best swim club in the province." The Scarborough Swim Club’s Board of Directors and parents are thrilled by the addition of Mr. Ward as Head Coach and are excited for the future of the club. The Scarborough Swim Club is a not-for-profit, parent-run swim club providing professional swim instruction, training and coaching for competitive swimmers of all ages. 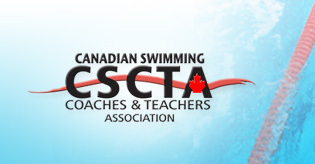 The Club operates primarily in the eastern region of the GTA and has developing champion swimmers for over 55 years. For the current year, the club had over 25 Masters swimmers, and 80 competitive swimmers ranging in age from 7 to 17, from learn to swim to National Team members. More information about the club can be found on our website athttp://www.scarswimming.ca.